In my work with executives, I hear this all the time. Some express frustration that instead of taking charge of their areas, their managers are too dependent on them for decisions. Others complain that rather than delegating to their teams, their managers are in the weeds, doing too much of the work themselves. Some grumble that their managers don’t put enough of a focus on their people, and as a result, morale in their areas are suffering. Admittedly, these are all barriers that interfere with a manager’s effectiveness. However, what many executives don’t realize is that, often, their own leadership styles are inadvertently contributing to these difficulties. Just last week, one of my coaching clients voiced similar complaints about the managers in his company. Although he and his colleagues on the executive team wanted them to behave “more like leaders,” many of their middle managers just didn’t seem up to the task. He expressed that he was at his wits end with respect to getting them to do what was expected. As we explored the issue, it became clear that two factors were contributing to this dynamic. First, the organization wasn’t putting enough of an emphasis on training new leaders. Although they rewarded high performers with promotions, they did very little to help them to develop the skills needed to lead effectively once they were in their new jobs. The team was somewhat embarrassed to discover this seemingly obvious gap. Still, they were confident that they could establish a structured leadership development program relatively easily. The second reason for their managers’ shortcomings was a little more complex. 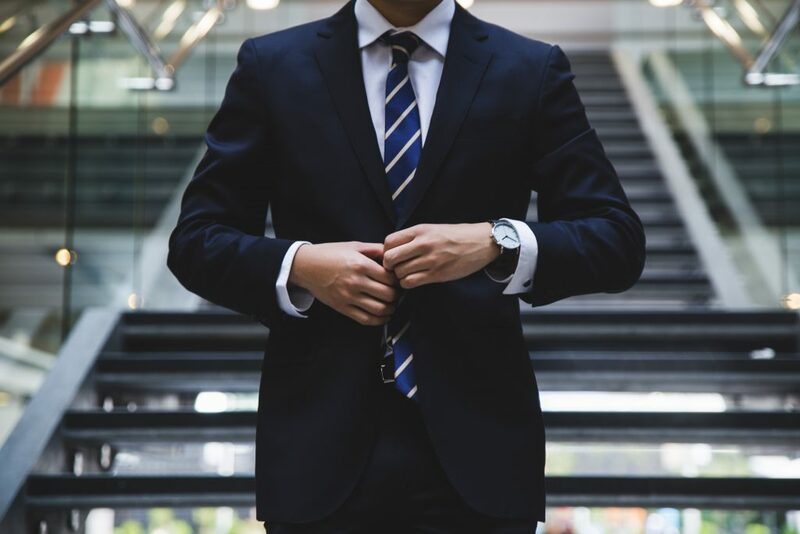 As we delved into the issue, we discovered that the company’s executives were inadvertently exhibiting a variety of behaviors that were contributing to the very behaviors amongst their managers that they were wanting to avoid. In my experience, these behaviors are pretty common. Are you guilty of any of them? It makes sense that the people who are performing well at their jobs would be the first ones considered for promotions into management positions. However, if proficiency or length on the job are the only factors you’re considering when making these decisions, you could be setting yourself up for future problems. As an executive coach, I have sometimes been hired to work with managers who are doing poorly because they lacked the needed emotional intelligence or people development skills to succeed as leaders. In some cases, these managers didn’t even like leading people. However, they took the promotion because it seemed like something they should do to move forward in their careers. 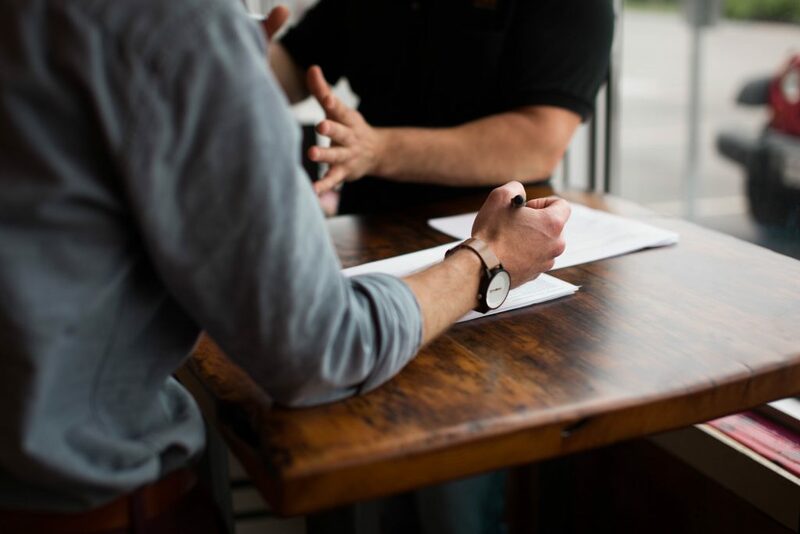 To avoid finding yourself in this position, when you’re considering promoting an employee, make sure to be on the lookout for red flags that would indicate that someone might struggle as a leader. Then, come up with ways to test these out before you pull the trigger in promoting him. Perhaps you could let him lead a project and see how he does. Or, you could provide him with coaching ahead of time to see if his people skills improve in response to it. 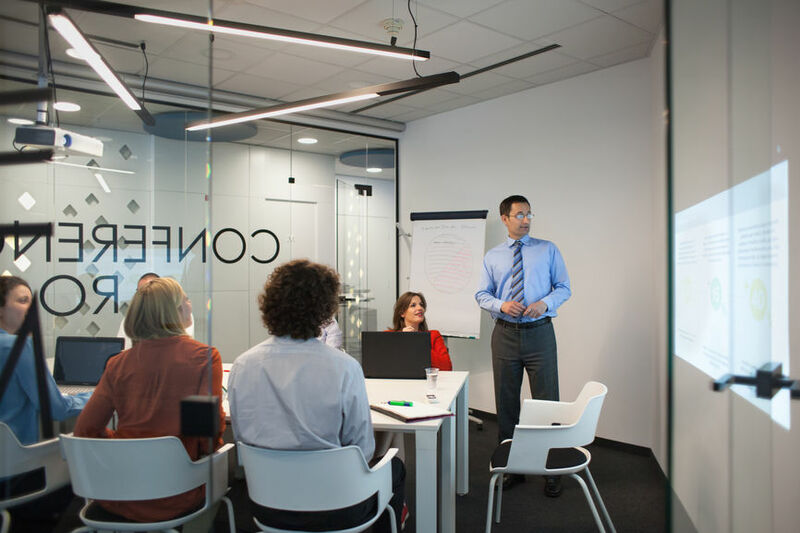 Although you clearly wouldn’t expect a new manager to seamlessly adjust to the demands of his role, you should keep in mind that if you have strong concerns about the individual’s ability to lead, they’re probably there for a reason. When you need to get something done, it’s natural that your high performers would be your “go-to” people. After all, of course you’re going to be most likely to delegate the task to the person you know can produce highest quality work. 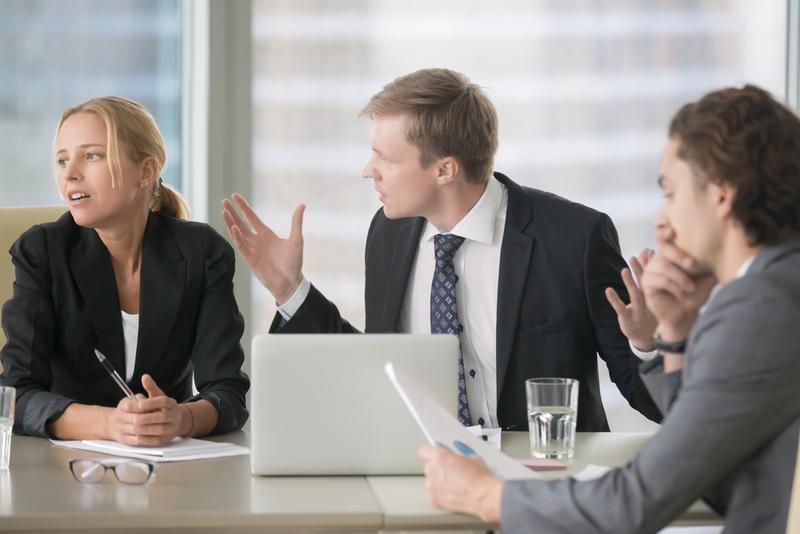 However, if you continue this behavior once you’ve promoted that person into a management role, you could be stifling her development as a leader. As a result, although she had a new title, she was being continuing to be encouraged to be a “doer” instead of a leader. She knew she needed to get better at coaching and delegating to people, but her boss simply wasn’t allowing her to develop these skills. If, as a boss, you realize that you do this more than would be appropriate, commit to letting your manager grow by reinforcing leadership behaviors. Yes, it will require an adjustment on everyone’s part, but in the long-run, it will be worth it. 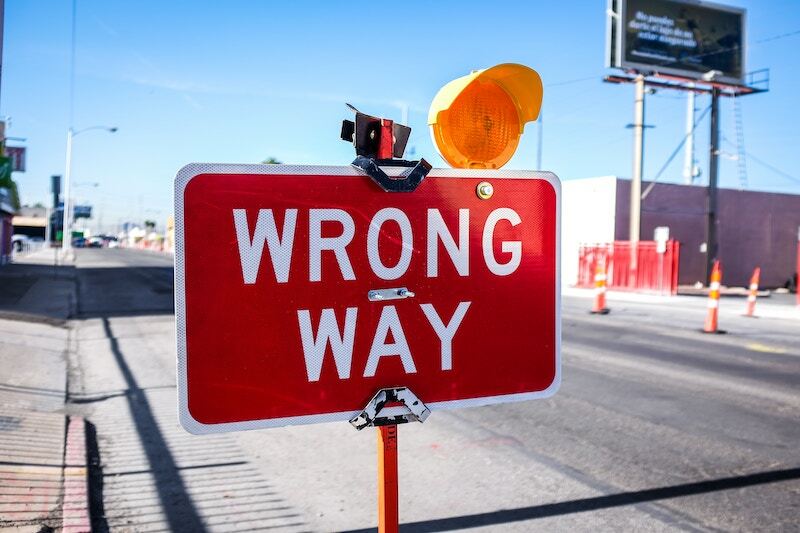 Another common behavior from leaders that can stifle the growth of their managers is being reluctant to let their people to make – and own – their decisions. At times, this comes from a desire to avoid having others make mistakes or fail. If you’re the type of leader who consistently finds yourself swooping in to save the day whenever your manager struggles, you’ll prevent him from developing the resilience and problem-solving skills needed to excel as a leader. (And, if across time, your attempts at coaching don’t seem to be helping, you’ll have to consider the possibility that you may not have the right person in the right role). On the other hand, perhaps you simply like to be the one making the decisions. Are you someone who is consistently convinced that your way is the correct – and only way? Or, are you someone who tries to make others’ works lives more efficient by drawing on your experience to help them to reach solutions more quickly? In either case, you could be training your people not to think, and instead, to rely on you for the answers. Of course there will be times when you’ll need to jump in to help others so that they don’t make a fatal error. And, there are times that you’ll feel so strongly about the direction in which something should go that you’ll want to make the final decision. Still, be mindful that each time that you do this, you’ll be undermining your manager’s ability (and perhaps, motivation) to step up as a leader and take responsibility for his or her actions or decisions. Therefore, tread lightly in this regard, with the aim of coaching your people to develop sound decision-making processes and the resilience to bounce back and learn from mistakes. By putting an emphasis on making the right promotion decisions, reinforcing leadership behaviors, and empowering your managers to make decisions, you can increase the odds that the managers in your organization will exhibit the sorts of behaviors that will help your company to succeed. Want to hear about more challenges leaders face? Listen to my appearance on “In the Workplace” on Wharton Business Radio. As a leader, it’s your job to help your employees to perform at their very best. At the end of the day, when they’re crushing it at work, everyone wins. Still, setting the goals that will help your direct reports to get the best results is often a tricky endeavor. On one hand, you have your own performance goals that need to be accomplished. At the same time, your employees have their own aspirations that might or might not always match up neatly with your area’s objectives. So, the million dollar question is, how do you set goals that will both motivate your employees and drive the business forward? Most high performers relish being given opportunities to learn and grow. It allows them to feel that they’re progressing in their careers, while also providing a sense of pride when they’re able to reflect on their latest accomplishments. Luckily, there’s a good chance that the same goals that will help your employees to get themselves ready to advance their careers will also help you and your department to get better results. After all, if they’re picking up new skills and taking on more responsibility, not only will they become more attractive for promotions, it will likely also give you more opportunities to delegate. 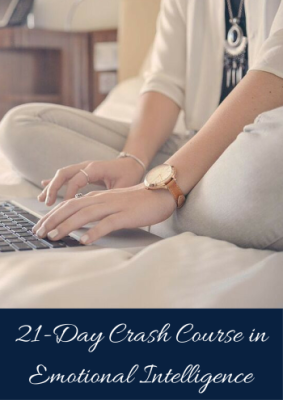 In turn, this will allow you to free up more time to devote to the higher level, strategic work that will help you to get next level results. To get ideas about potential assignments for your employees, have regular career discussions. Ask them about their short-term and long-term goals. Have them think about what challenges they would like in the workplace. Encourage them to reflect on their values, and how they can ensure they’re expressing on them on the job. Showing a genuine interest will also help to deepen your relationships, and will likely contribute to increased morale. Although it would be nice if you could always be the person setting your own goals, the reality is that your targets sometimes come from on high – that’s simply a part of business. Therefore, as a next step, make a list of all of your goals – those from your boss, as well as those you hope to achieve. Put them in order of priority and brainstorm about how your employees could possibly help you to accomplish them. As you consider each person’s career aspirations (and current skill sets), think of which goals would be a good match for them. Consider this both from the standpoint of giving them chances to highlight their current skills, as well as opportunities develop new skills for future roles. Keep in mind that providing developmental assignments will help you to create a more well-rounded team, and increase your bench strength for talent management. Plus, as they get better, so will your results! Although all goals may not be able to be set collaboratively, where it is doable, include your employee in the process. This will increase the likelihood that they’ll be bought-in and motivated. Further, it could alert you to potential obstacles or pitfalls of which you’re unaware. To do this, sit down with your employee and share your thoughts about assignments that could help both of you to achieve your goals. (For some ideas about common developmental areas, click here). For example, do you have someone who would like to become a leader in the future? Give her an opportunity to lead an internal project. Is someone interested in learning more about a different part of the business? See if there are opportunities for cross-training. Do you have an employee whose underwhelming presentation skills are interfering with his ability to move up? Give him more opportunities to speak up (along with plenty of coaching). As you are speaking with your employee, communicate the goal in a way that will be meaningful. Keep in mind that different people are motivated by different things, and so your aim should be to put yourself in the other person’s shoes, as opposed to just thinking about what would be motivating to you. Some examples of motivators include: taking on challenges, learning new things, giving back to the community, making a contribution to the team, getting greater visibility, or feeling the sense of satisfaction associated with doing a good job. (If you have discussed their values with them, that will also give you a good sense of the sorts of things that drive them). Have a dialogue about the goals and come to agreement about them. Still, don’t go overboard with it – you have to make sure the goal is reasonable. Although it might initially be exciting to choose a goal that would be a huge stretch, research suggests that although a hyper-ambitious goal may improve performance in the short-term, it might also reduce your commitment and engagement across time, when you see that there’s no way you’re actually going to achieve it. Therefore, when setting goals, make sure to draw on the SMART goals principles, by making them Smart, Measurable, Achievable, Realistic, and Time-Limited. Finally, schedule check-in points so you can assess how your employee is progressing. Research has shown that people perform better when they set a goal and and get feedback (as opposed to merely setting the goal). Plus, if you’ve given them a goal that challenges them and requires them to develop new skills, it’ll allow you to help them to course-correct before the project goes entirely off the rails. When done correctly, the goal-setting process can result in a win-win for you and your employee. Try out these strategies and see for yourself. Do you feel reluctant to speak up at work? If you are, you’re not alone. As a corporate psychologist and executive coach, I’ve worked with a lot of people who refrain from expressing their ideas in the office. In most cases, they aren’t staying quiet because they don’t have anything to say – instead, they ‘re purposely choosing to censor themselves. Why are people reluctant to speak up? In my experience, I’ve found that people are reluctant to speak up for a number of reasons. In some cases, it’s based on organizational concerns. For example, if you work in a toxic workplace, you may have seen other people being punished for speaking up. Consequently, you choose to stay quiet because you know it may not be safe to say what you really think. In other cases, you may think that it simply isn’t your role to communicate your thoughts. This dynamic often plays out when there are people of different levels in the room. Frequently, the more junior ones will be reticent to speak up because they don’t think they’re supposed to. At other times, they may want to say something, but are concerned that it may be at odds with their senior colleague’s views. In some instances, aspects of your personality may prevent you from speaking up at work. For example, if you lack confidence or feel like an “imposter,” you may question the value of your ideas. As a result, you might keep your thoughts to yourself because you don’t think they’re worthy of being voiced. Or, if you are introverted, shy, or uncomfortable being in the spotlight, you may choose to stay quiet so as not to call attention to yourself. A fear of confrontation can also cause you to be reluctant to share your ideas. For example, if you’re afraid of conflict and don’t want to challenge others’ perspectives, you may stay quiet to avoid having someone disagree with you. Or, you might refrain from speaking up at work because you’re concerned that if you express a difference of opinion, you will hurt someone else’s feelings. At the core of all of these reasons is a desire to remain safe. This is a perfectly reasonable desire; however, in the above scenarios, many of the perceived threats are based on your own insecurities. While this might feel more comfortable, do you really want to allow your self-doubt to prevent your from fulfilling your potential? Why should you make your voice heard at work? Given that there is a sense of safety in staying quiet, why would you want to speak up? After all, doesn’t sharing your views open you up to potential conflict or embarrassment? While that is a possibility, I’ve found that people often overestimate the risk. In my experience, if you’re in a reasonably supportive culture, there are many more benefits than disadvantages to speaking up at work. Think of it – you have a unique perspective. No one else in your organization (or the world, for that matter) has the exact same outlook and perspectives as you do. Therefore, when you share your thoughts, they can potentially help the organization and spark other ideas in the people around you. Research suggests that cognitively diverse teams solve problems more quickly. However, if you’re not sharing your opinions, your team isn’t able to benefit from them. Speaking up can also help your career. After all, you were hired for the contribution that others thought that you could make. This means that when you speak up, you can maximize your impact on the organization. If, however, you choose to keep your opinions to yourself, there’s a good chance that your value could be overlooked (or at least, underestimated). I’ve observed this many times, when I’ve worked with brilliant people, who didn’t speak up. Instead of being seen as the thought leaders they could be, they were perceived as mediocre employees without the potential to advance. Finally, for many people, speaking up at work simply feels better on an emotional level, than stifling themselves all the time. (I can personally attest to this, as noted in this article). Instead of feeling frustrated, you could feel empowered by asserting yourself. In addition, it may help you to feel more connected to your work, because you could have greater influence on your environment. So, should you just take off Your filter and say whatever you want? Let’s face it – while it would be nice to think that speaking up at all times is the right thing to do, sometimes, it simply may not be appropriate. Therefore, the issue of whether expressing yourself will help or hurt you depends largely on what you are speaking up about, and when and how you do it. With respect to run-of-the-mill topics, speaking up can often contribute to being seen as someone who cares about the organization, takes initiative, and has a desire for influence. As noted earlier, if you have a lot of great ideas, but keep them to yourself, others in the organization might undervalue what you can contribute. And, this may cause you to get overlooked for promotions. So, speaking up can be a good way to get noticed. However, if you’re known for putting your foot in your mouth, or speaking without tact, then you’ll likely want to tread a bit more lightly. Speaking with consideration and diplomacy is likely to go over a lot better than saying whatever is on your mind, and justifying it by saying “I’m just being honest.” So, if you are someone who is always complaining, pessimistic, negative, or rude, then speaking up all the time will likely hurt you (unless you improve your communication skills). Finally, if you want to speak up on a very sensitive topic, then it probably makes sense to consult with someone you trust so that you can craft your message appropriately. If it’s a one-on-one conversation you’re preparing yourself for, you might even want to role play different scenarios. You can also practice mindfulness so that you can take a step back and manage your emotions in the moment, to increase the odds that you’ll convey your ideas in a balanced and constructive way. Want to challenge yourself to speak up more? If you do, here are a few quick tips that will help you to do it effectively. 1. Be Sensitive to Your Audience – If you’re hoping to influence others, make sure to think about what’s important to them. Don’t make the mistake of crafting an argument simply based on what would convince you – take others’ needs, motives, and preferences into account. 2. Use Active Listening Strategies – While it’s beneficial to express your opinion, you’ll likely be more effective if others know that you’re open to their perspectives. Look for points of commonality, express empathy, and communicate to others that you’re considering their thoughts. Doing so will open the door to a more constructive conversation. 3. Speak with Confidence – If you sound uncertain or tentative, even a fabulous idea might be dismissed. Therefore, make sure to practice your delivery so that you can come across as more self-assured. Watch out for filler words, volume, eye contact, and vocal intonation (you might even want to record yourself). If you need some help, try Toastmasters. You’ll get lots of practice, valuable feedback, and support from fellow members. 4. Couch Your Opinion, When Appropriate – Sometimes, depending on the situation, the culture of the organization, and the person(s) with whom you are interacting, you might want to take a more measured approach. For example, if you are in a very hierarchical culture, then saying something like “I wonder if…” might be better received than “You really should…” when speaking to your boss. On the other hand, some leaders and cultures really value candor, and less of that might be necessary. 5. Remember that You Won’t Always Get Your Way – If you express an idea that isn’t accepted, don’t get discouraged. Great solutions often come as a result of a group of people feeding off others’ ideas and expanding upon them. Give yourself a pat on the back for challenging yourself to speak up, and commit to keep practicing! Poet Audrey Lorde wrote, “When we speak we are afraid our words will not be heard or welcomed. But when we are silent, we are still afraid. So it is better to speak.” When done with care, speaking up at work can make you feel more empowered, valued, and engaged on the job. Although there are still some leaders who stick to the antiquated notion that they should expect their people to perform high quality work regardless of the environment, more and more organizations are acknowledging the benefits of focusing on culture. 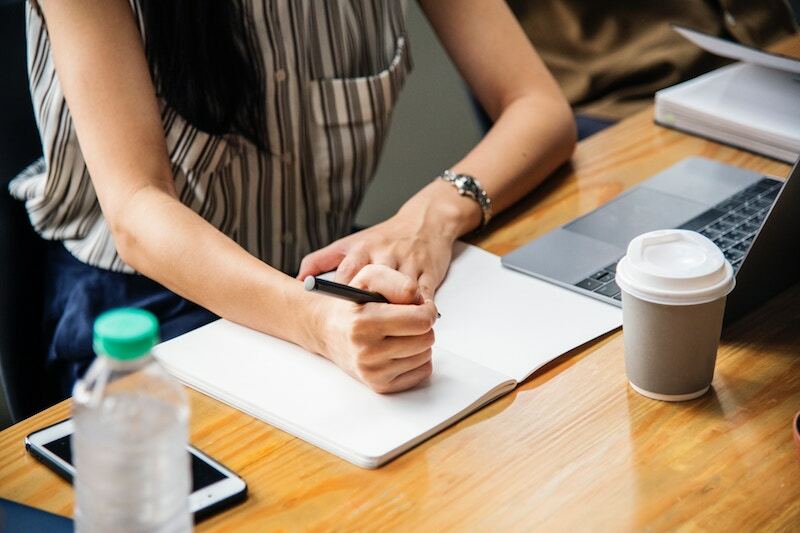 Nowadays, savvy leaders recognize that promoting emotional wellness isn’t a mere “touchy-feely” agenda item that they have to do begrudgingly in order to placate their employees. Instead, they recognize that there are many business benefits that come from putting an emphasis on employee well-being. A review of the research suggests that employees with a sense of well-being tend to be more productive. Happier employees are more engaged with the work that they’re doing, and, for those in client-facing roles, that translates into better customer service. Research also shows that employees who experience more positive emotions make better leaders, are more successful at sales, more resilient, and better colleagues. Although this one seems like a given, it’s one that employers often neglect in the quest to get more done with less. However, if employees have more work than they are able to comfortably handle, it can create a sense of pressure and contribute to workaholism. Overwork not only takes diminishes emotional health, it can also decrease work performance because people tend to be less productive when they are experiencing high levels of stress. Therefore, as a boss it’s essential to check in with your employees to make sure their workloads are reasonable. And, to help them to manage their responsibilities coach them to ensure that they are prioritizing and delegating appropriately. Another way employers can support organizational emotional health is by making sure their employees take time away from the office. And, while it would seem that employees would be clamoring to have some time off from work, a survey by Project Time Off found that over half of American employees didn’t use all of their vacation time. Although there were a number of reasons for leaving vacation time on the table (i.e. finances, concern about returning to a pile of work, feeling that others can’t do their job), a staggering 80% of employees reported that they would be more likely to take time off if they felt that their bosses supported it. Therefore, if you want your employees to manage their stress, encourage them to use their vacation time – and reinforce that message by making sure to take time off yourself. Our laptops and smartphones provide us with convenience and flexibility, however, they also make us available around the clock. Research suggests that when employees are available 24-7, they are more prone to burnout in the workplace. Being unable to disconnect also tends to decrease their sense of autonomy (a major contributor to work stress), because they feel that they can never escape from their work responsibilities. Further, the effects often trickle over into personal lives by causing conflict in the home, because they’re not fully present with their families. To combat this, consider setting organizational boundaries regarding after-hours emails. And again, watch the example you’re setting as a leader by refraining from sending emails in the evenings, unless they’re really necessary. Employers can also help to increase emotional wellness amongst their employees by encouraging them to take time for self-care. For example, one company that I consult to has Wellness Wednesdays, in which employees are encouraged to wear gym clothes to the office so that they can work out. Others have mindfulness programs, which encourage employees to learn how breathing, meditation, and an intentional approach to life can help them to manage stress. Others have ditched the office candy dish and replaced it with nutritious snacks to promote a healthy lifestyle. When employees are able to care for their minds, bodies, and spirits, they come to work less stressed, and better able to perform up to their potentials. Lately, we are learning more and more about the negative effects of loneliness in the workplace. Lonely employees are less productive, less engaged, and more likely to miss work. However, employers can help to combat this, by making it easier for employees to build relationships with one another. To help employees to build connections, aim to create a culture that encourages friendships by promoting communication, collaboration, and psychological safety. Encourage people to get to know one another. Some ways to do this include featuring employees on the intranet, taking time for employee celebrations (like birthdays and work anniversaries), celebrating successes, and providing opportunities to get together outside of work (like lunches or volunteer activities). Again, as a leader it’s important to set a good example, by taking a personal interest in your employees. Make sure to take time at the beginning of meetings to allow people to chat with one another. You might also consider bringing in a professional to conduct formal team building. I’ve facilitated a lot of team building sessions, and a common piece of feedback that I hear is that employees really enjoy the opportunity to get to know their colleagues on a deeper level. Not only does it help them to build relationships, it also helps them to better understand one another’s work styles – and that’s key for effective functioning. 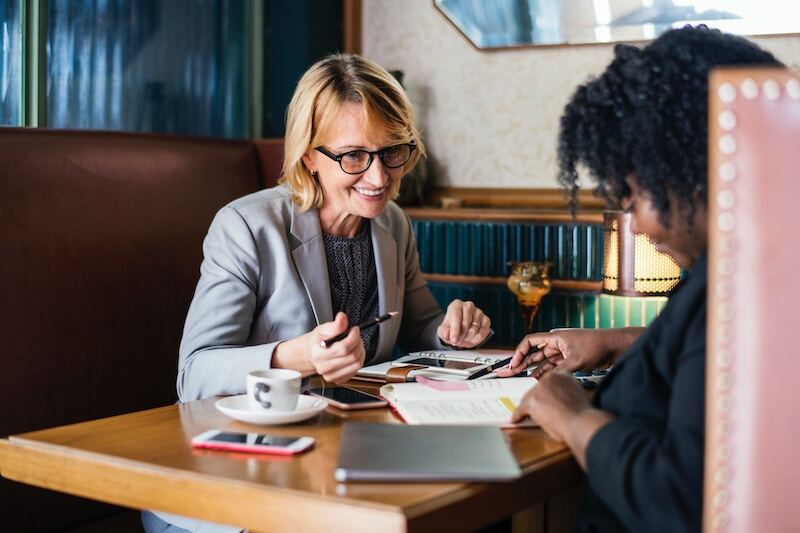 When I ask employees about their favorite bosses, they commonly tell me that they experienced the most growth working for leaders who took an interest in their career success. Therefore, to be a supportive leader, make sure to ask your employees about their career aspirations and what motivates them. Then, with that information in mind, strive to give them opportunities that can help them to accomplish those goals. When employees know that their employers care about them and are committed to helping them to be successful, it can be incredibly motivating, create a greater sense of loyalty to the company, and increase their level of engagement on the job. Focusing on boosting your employees’ emotional wellness is a win-win proposition. Your staff will be happier and more engaged, and your organization will have a competitive advantage. Need some help creating a more positive culture? Learn more about our corporate psychology services. Most professionals intellectually understand the importance of building relationships at work. Leaders in the business world certainly do. Psychiatrist Srini Pillay, who studies the neuroscience of effective leadership, published an article which explained the importance of skillful communication for effective and inspiring leadership. On one hand, this reads as common sense; on another, it makes you realize how often leaders sacrifice relationship-building for other priorities at work. At least that has been the case in my experience. Additionally, most folks understand the importance of networking as an interpersonal skill, and try to be friendly on the job. 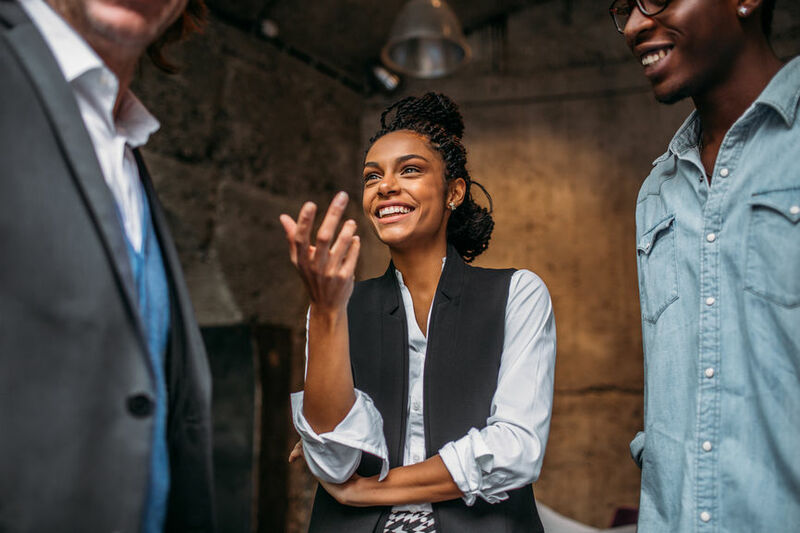 But true connection is something different—and its positive effects in the workplace have a correspondingly deep impact, just as they would anywhere else. So how do you know if the relationships you’re pursuing at work are “real”? The first and most important step is checking in with your motivations, requires a “gut check” by asking some difficult questions. 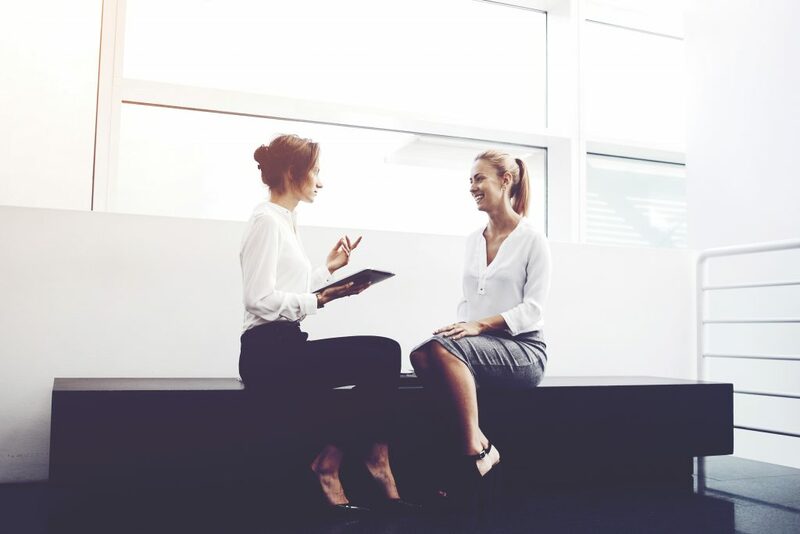 If you think you could benefit from improving your relationships at work, do your gut-check by considering these four questions. 1. How do I truly feel about my coworkers? Do you view your coworkers as an annoyance? Does your monthly office happy hour feel like a social activity or a chore? Is getting lunch with colleagues a welcome break, or a distraction that gets in the way of the “real” work? Different people feel differently about the value of building relationships with coworkers. While some people view it as an opportunity to broaden their network of friends, others see it as a wet blanket. Those in the latter camp may think work should be exclusively about getting stuff done, and that relationships should be reserved for personal time. If you find yourself resonating with this, you’ll need to shift your perspective in order to build the sorts of relationships that will enable you to inspire and engage others. Remember: you are not working with robots. While we obviously can’t spend the whole day socializing, recognize that connections put us in a better mood, and better moods are linked to better work outcomes. 2. What are my expectations when interacting with others? All of us have individual histories, and they impact the expectations we carry with us in all facets of life, including the ways we think about interpersonal connection. How do you expect others to treat you? Do you see the world as a “dog eat dog” place, where you have to be guarded to get ahead? Do you tend to be wary of others? Or is your most frequent state of being open? Trusting? Curious? If you are someone who expects poor treatment from others, you are likely going to have your defenses up as you navigate the world. This sense of distance can interfere with your ability to build connections, and will be palpable to others. By opening yourself up to others, you’ll likely be rewarded with higher quality relationships. Plus, as Wharton professor Adam Grant’s research has shown (with a few caveats), generous individuals end up ahead in the business world. 3. Do I see others at work as objects? For some, the answer to this question might be a bit disconcerting, but I encourage you to be as truthful as you can be, knowing that these questions are just for your growth. So do you see coworkers as a means to an end? Hurdles to deal with as you go ahead on your own path? Or do you see them as a living, breathing human beings with hopes, challenges, and dreams? Are they equal to you, worthy of respect and consideration? Note that you may not find yourself willing to admit you regard others as objects. But this attitude can be more subtle than it sounds. If you are treating those around you as a mere part of the background, they will pick up on this. In contrast, the simple act of recognizing your shared humanity with others can make you more compassionate and present, and will deepen the quality of your interactions. 4. What are my values about relationships? Am I embodying them at work? When most people reflect on their deepest held values, they believe in the importance of kindness, treating others with respect, and contributing to their well-being. Consider your values about how you should treat others. Then pay attention to see whether you are fully living up to these values. When you try to bulldoze through others so that you can get your way, are you treating them with respect? If you dismiss someone else’s concerns as silly, are you exhibiting empathy? Simply paying attention can give you the heightened awareness necessary to modify your behavior. While reflecting on these questions might result in some hard truths about yourself that you would rather not face, the fact is, they can be very empowering. 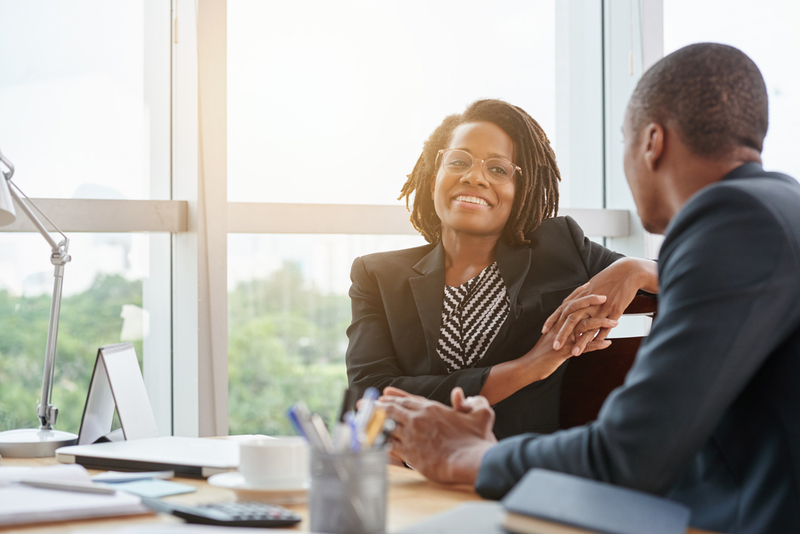 Armed with the knowledge about why you may be struggling to connect with those around you, you can make important changes that will deepen your relationships and support your professional success. Your leadership style can also affect your relationships. 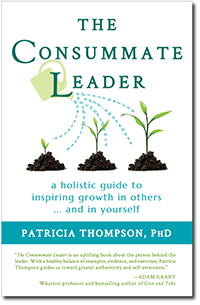 Take my Leadership Style Quiz to find out how.